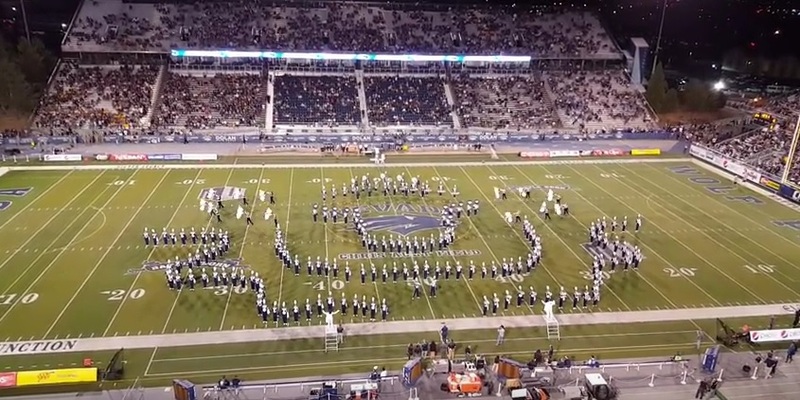 The University of Nevada Pride of the Sierra is a hometown favorite and a marching jewel in the state of Nevada. Their halftime shows have gained attention across the country and while they are still growing their sound has really started to blossom. Last week they treated fans to a Disney themed halftime show that included some pyrotechnics and just a downright awesome medley of Disney songs. If you're a Disney fan you will certainly love this. Great job Pride of the Sierra!